Glaucoma Archives - Moran Eye Associates, P.C. Dr. Moran, Bobbi, and Cindy attended the ASCRS (American Society of Cataract and Refractive Surgeons) Conference in our nation’s capital, Washington, DC. The conference ran over a “long” April weekend and presented a great opportunity to learn more about the diagnosis and treatment of cataracts and glaucoma, as well as vision correction procedures like LASIK. “Ongoing education is a priority not only for physicians. It is important for every member of our team to be up-to-date on innovations and technology now available to offer the best eye care. While at this conference, we were able to learn from industry experts on ways to more effectively care for our patients. It was also a chance to share what we do at Moran Eye Associates,” Dr. Moran explains. Information sessions at the conference included new treatment techniques to manage dry eye, cataract surgery case studies, and advances in pre-surgical measurements. There was much to learn in classes and from networking and exchanging ideas with other professionals there. They were able to talk about how our new in-office procedures for floaters and dry eye are helping our patients see more clearly. In addition to the formal educational sessions, there were also many opportunities for hands-on learning. Using Virtual Reality, Bobbi & Cindy were able to have a 360-degree view inside the eye. They were able to witness how the eye is affected by glaucoma, macular degeneration, and cataracts. They agreed it was a little disorienting to be “floating” around inside an eye, but it was a memorable experience to see detailed images of changes to retina, vitreous and lens. We look forward to using the knowledge gained to improve the care of our patients. After a busy and productive few days away, it is back to the office! Glaucoma is known as the “Silent Thief of Sight” because it can begin to rob you of your sight before you notice any symptoms. Regular eye exams are your best defense against the early detection and treatment of glaucoma. At each visit, we will check your eye pressure, and Dr. Moran will look at the back of your eye to examine the health of the optic nerve. These important tests can detect the start of glaucoma, and get you started on a simple treatment therapy that can save your sight. Know if you are at risk. According to the Glaucoma Research Foundation, people in these categories are at higher risk for developing glaucoma. Age 60 or Older: Glaucoma is much more common among older people. You are six times more likely to get glaucoma if you are over 60 years old. 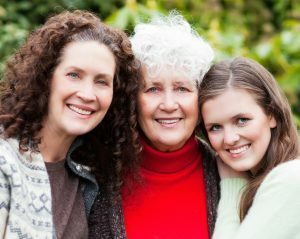 Family History: The most common type of glaucoma, primary open-angle glaucoma, is hereditary. If members of your immediate family have glaucoma, you are four to nine times higher to develop this disease. African Descent: Glaucoma is six to eight times more common in African-Americans than in Caucasians. Hispanics in Older Age Groups: Recent studies indicate that the risk for Hispanic populations is greater than those of predominantly European ancestry, and that the risk increases among Hispanics over age 60. Asian Descent: People of Japanese descent are at higher risk for glaucoma. You may NOT notice a change in your vision until irreversible damage is done. Many people who are in the early stages of glaucoma are unaware of their condition. When vision loss becomes noticeable, glaucoma may have caused irreversible damage. If left untreated, glaucoma will lead to blindness. Although there is no cure, medications and surgery can help slow the disease’s progression. Vision loss occurs because increased eye pressure from glaucoma can damage the optic nerve, which carries images from the eye to the brain. Don’t delay. Early detection and treatment is the best way to manage your condition. Dr. Moran may prescribe eye drops, which, when used daily, may be all that you need to keep your eyes healthy. If prescription eye drops are not sufficient to control your glaucoma, laser treatment or surgery may be an option. Monitoring your progress: In addition to an eye exam, Dr. Moran may request additional tests. Glaucoma patients are monitored using annual visual field and OCT tests. Changes in your test results may indicate a need for an update in your treatment plan. To learn more about this disease, visit the Glaucoma Research Foundation GRF. …or as we like to call it, “ASK DR. MORAN”! Dr. Mark Moran will be featured on 100.7 WLEV’s Morning Show with Selena & Crockett each Thursday on 100.7 WLEV. Dr. Moran was selected to be a part of “Ask the Experts,” a drive-time feature aired between 8-8:15 am weekdays. Dr. Moran will provide medical expertise on the Thursday edition of this program. He will answer questions about keeping your eyes healthy and getting the most from your vision. The Morning Show’s Kevin Crockett will ask Dr. Moran questions sent in by morning show listeners. Patient education has always been a priority at Moran Eye Associates because Dr. Moran knows that an informed patient makes the best healthcare decisions. We invite you to listen in every Thursday for great advice on eye care. If you have a question for Dr. Moran, you can send a message to the Morning Show, or email us directly with your question. Of course, we will reply to the emails sent to [email protected]. We will also pass along your inquiry to WLEV, where Crockett might read it on the air! Mark your calendars, and be sure to listen in to Ask the Experts with Dr. Mark Moran Thursdays at 8 am! $25 Donation in YOUR NAME to Logan’s Heroes Animal Rescue*. Everyone benefits from great eye health. Share the Care, and refer a new patient to our office for quality eye care from a respected and experienced doctor. Dr. Moran and his staff are now seeing patients in the newly renovated Bethlehem office. We welcome new patients of all ages to our warm, friendly, professional office. We promise to provide excellent service and expert care to your family and friends. Dr. Moran continues to provide all of the eye care services that have earned him a five-star reputation in the Lehigh Valley over the past 25 years. LASIK – Dr. Moran offers patients a new look on life with LASIK vision correction surgery. In just a few minutes you can see more clearly without the need for your distance glasses or contacts. A free 1-hour Consultation will answer the question “Am I a LASIK candidate?”. CATARACTS – Dr. Moran provides surgical expertise and advanced technology lens implants to help you see better than you have in years! 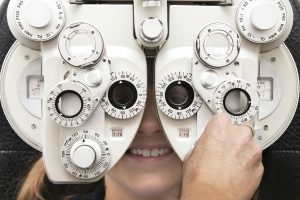 COMPREHENSIVE EYE EXAMS: Even if you don’t need a new pair of glasses, you should have a vision exam on a regular basis. Early detection of eye disease is the best way to preserve your sight. MEDICAL EYE CARE – Care for glaucoma, macular degeneration and diabetic eye issues are all provided with Dr. Moran’s compassionate care. *To learn more about Logan’s Heroes and their mission: “Rescuing Pets Supporting our Vets”, visit them online at Logan’s Heroes.